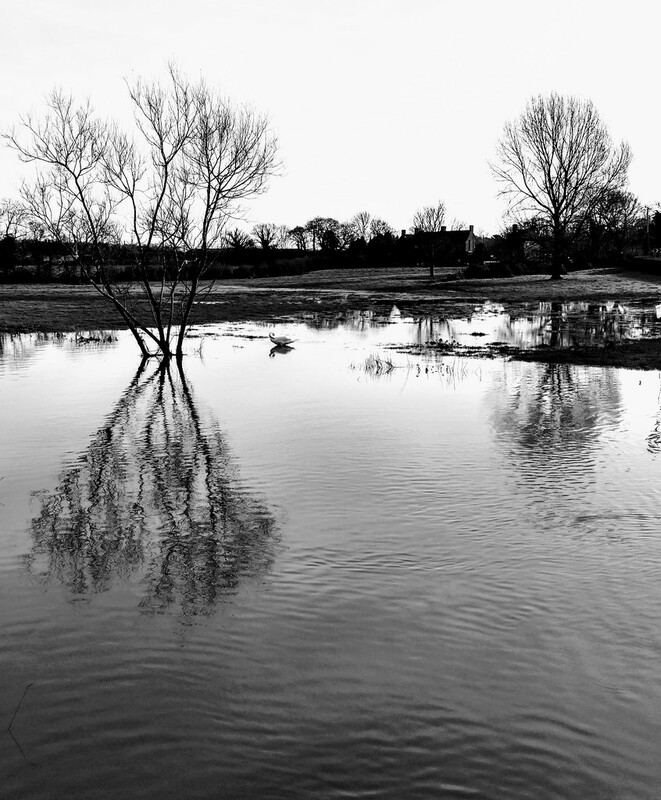 Heavy rain has caused the River Adur to overflow, submerging river bank trees and flooding the surrounding fields. Flooding is bad, but this pic is beautiful. Love the reflections. Heavy rains here as well but fortunately no flooding this time. Nice capture of reflections. Love the reflections, and agree it does look great on black too. Beautiful image with the ripples & reflections. Great b&w shot of a wintery scene and nice reflections.